One of the biggest advantages of Google’s Chrome web browser, is the huge library of plug-ins available. Personally I tend to keep my installed plug-ins to a minimum, as installing them can really slow down the browser, but Google have just released one that should be considered essential, Password Checkup. Password Checkup helps you re-secure accounts that have been affected by data breaches. Wherever you sign-in, if you enter a username and password that is no longer safe due to appearing in a data breach known to Google, you’ll receive an alert. Please reset your password. If you use the same username and password for any other accounts, please reset your password there as well. 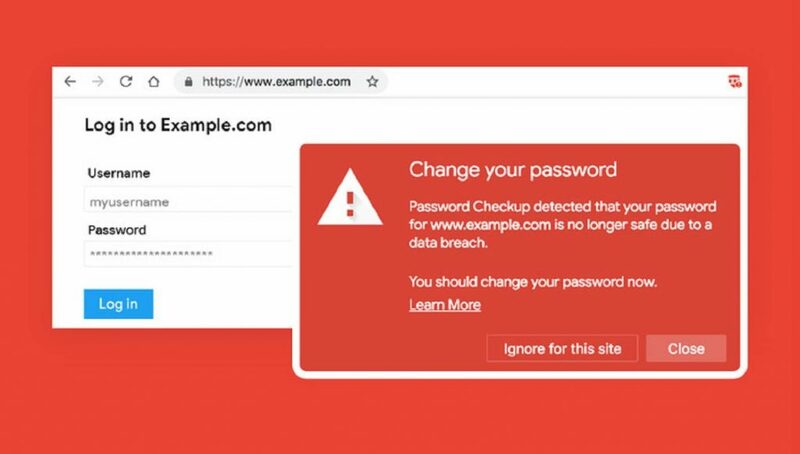 Password Checkup really should be considered an essential plug-in if you use Google’s Chrome web browser, especially if you’re not sure if your passwords are safe and secure. I would recommend you install it on your own PCs and devices. windows.do will use the information you provide on this form to be in touch with you and to provide updates and marketing.